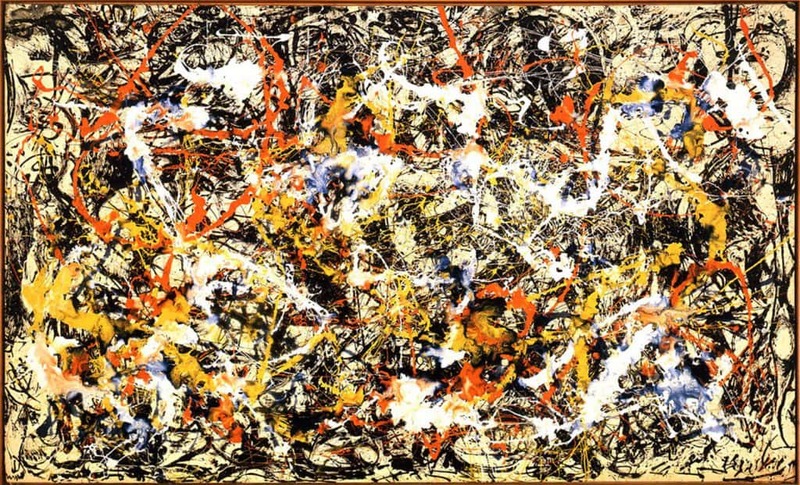 Paul Jackson Pollock (January 28, 1912 – August 11, 1956), known professionally as Jackson Pollock, was an influential American painter and a major figure in the abstract expressionist movement. He was well known for his unique style of drip painting. He was born to LeRoy Pollock and Stella May McClure on 28th January, 1912 in Cody, Wyoming. He the youngest child and had four elder brothers. His family shifted from Wyoming and lived in Arizona and California. His father was employed as a surveyor Jackson accompanied his father on the surveying trips when he was a child. That was how he got acquainted with American culture. When the family resided in Los Angeles, California, he attended the ‘Manual Arts High School’. He was ousted from this school and in 1928, too he had faced expulsion. In 1930, he travelled to New York where his brother Charles stayed and both of them joined the ‘Art Students League’ and got trained by American painter Thomas Hart Benton. Pollock was not much influenced by the themes which Benton worked with, but his teacher’s metrical style of painting and boundlessness had an impact on him. In 1936, he encountered liquid painting by Mexican mural painter David Alfaro Siqueiros, in an art workshop in New York. During the period 1938-42, he was employed at the ‘WPA Federal Art Project’, the visual arts arm of the ‘Federal Project Number One’ – a ‘New Deal’ program in the US, that functioned during the Great Depression-era. He was into alcohol and to fight his addiction he took ‘Jugian psychotherapy’ remedies during the period 1938-41, and he was helped by Dr. Joseph Henderson and then he was treated by Dr. Violet Staub de Laszlo. In 1945, he married and moved into his new house which is now called as the ‘Pollock-Krasen House and Studio’ located in Long Island, New York. There he built a studio in which he engaged in painting and perfecting his art. He applied the liquid painting technique which he had come across years ago. The talented artist developed innovative forms of painting which later came to be known as drip painting technique. He did not use traditional paint brushes to create images, rather employed sticks, hardened brushes and even syringes as painting tools. 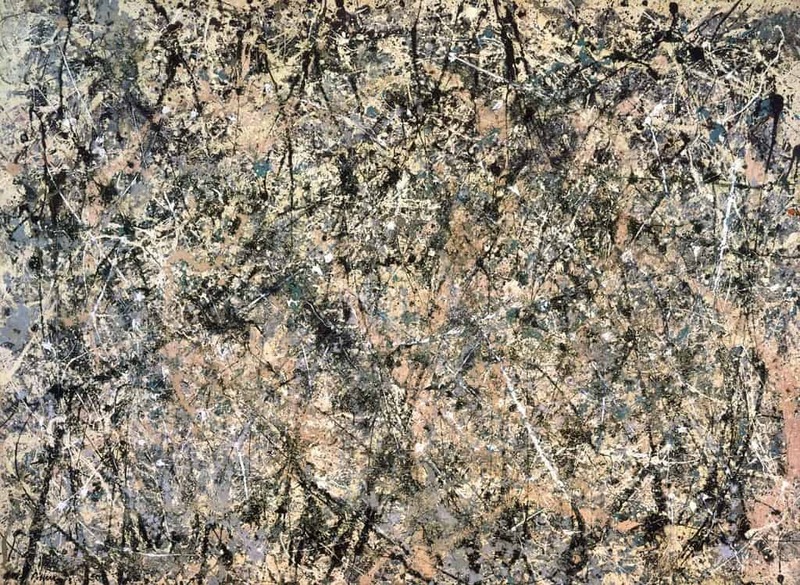 Pollock did not mount his canvas on the wall but placed it on the floor which helped him to apply paint from all directions and also provided a multi-directional view of the images he painted. The dripping technique which the artist used is often regarded as the beginning of ‘gestural abstraction’ or ‘action painting’. His multi-directional painting technique was apparently influenced by Ukrainian American artist Janet Sobel. This innovative painter got away with the conventional use of hand and wrist in painting and instead utilized his entire body in painting an image. His painting technique was subjected to many voluntary factors such the motion of his body and involuntary factors such as the amount of paint which the canvas would absorb. He would employ all these factors into creating an image and kept on playing with colours till he achieved what he desired. His pouring technique of painting flourished the most during the period 1947-50, also regarded as the ‘drip period’. This technique earned him immense fame. However, when he was at the zenith of popularity as an artist in America, he deserted the use of this technique in an unanticipated move. He then moved from colours and created images which resembled darkness and even made a collection of black paintings made on canvases that were not primed. Later again, he resumed colourful and abstract painting, and got engaged with a commercial gallery where he met a lot of demand, for paintings. This generated a mental pressure within him and he found solace in alcohol which resulted in increased dependence on intoxication. During later years of his career, he did not name his paintings and instead numbered them in order avoid any prejudiced notions about the painting develop their own interpretations. In 1955, he made two paintings named ‘Scent’ and ‘Search’ and the following year, he was so absorbed in alcoholism that he did not create any new paintings. 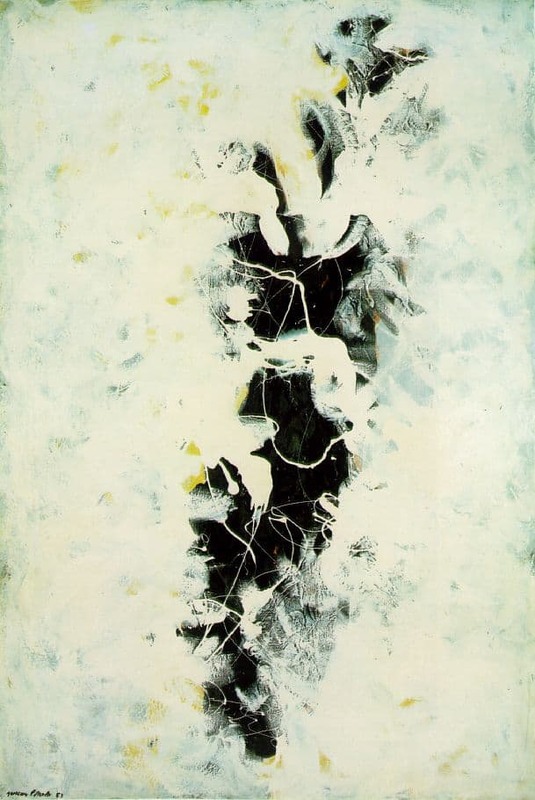 The period during 1947-50, was the most significant years of his career when he created paintings like ‘One: Number 31’. This painting was placed 8th among the most influential modern art paintings. 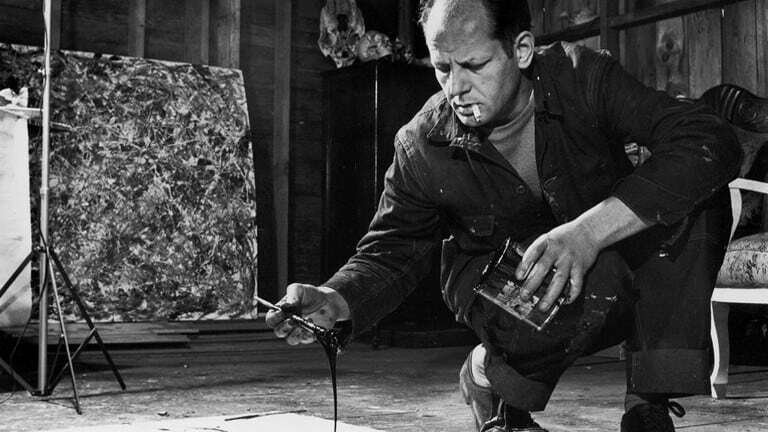 This period often referred to as the ‘Drip period’ has popularised Jackson Pollock and his drip painting technique. 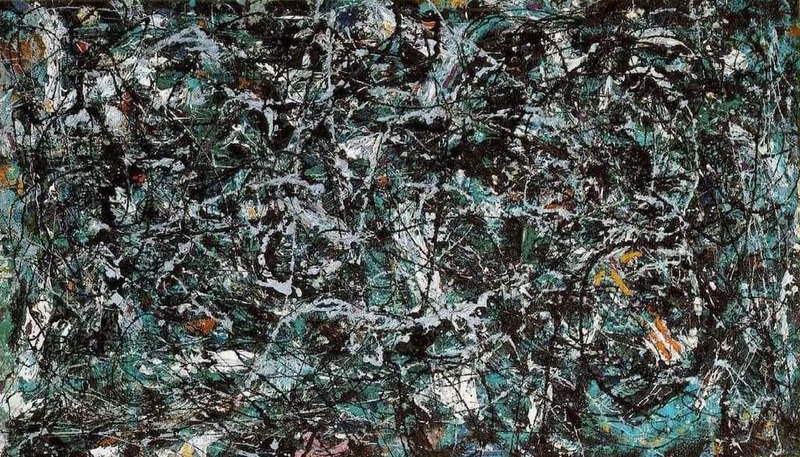 His painting ‘Blue Pores’ of 1952 is also considered to be a masterpiece of this artist. He married a fellow painter Lee Krasner in October 1945. On 11th August, 1956, this painter met with a fatal accident when he was driving while intoxicated. The accident occurred close to his house and it claimed one more life other than Pollock’s. The resting place of this artist is in the ‘Green River Cemetery’. After his death, his wife took responsibility of their estate and took charge of preserving Pollock’s works. She even formed the ‘Pollock-Krasner Foundation which patronised young artists by providing grants. After his death, an exhibition was organized at the ‘Museum of Modern Art, New York which was dedicated to Jackson Pollock and another exhibition in his memory was done in 1967. His creativity amuses people till date and his paintings are often displayed in exhibitions at ‘MoMA’ (Museum of Modern Art), in New York and the art gallery in London called ‘Tate Modern’. The ‘Pollock-Krasner House and Studio’ is managed an NGO of the ‘Stony Brook University’. In 1989, the biography of Jackson Pollock was penned by Steven Naifeh and Gregory White Smith. In the year 2000, a biographical film named ‘Pollock’ was released, based on the biography of Pollock, and actress Marcia Gay Harden who played the role of Krasner Lee won the ‘academy Award For Best Supporting Actress’. In 1956, ‘Time’ magazine nicknamed this famous artist as ‘Jack the Dripper’, for his drip painting style. To say that Jackson Pollock took a different approach to painting would be a colossal understatement. He often painted on the floor and rarely used a paintbrush. Sticks, knives, and virtually any other object that could distribute paint would be used. He defied the rules of art at the time and this made him one of the greatest artists of his era. 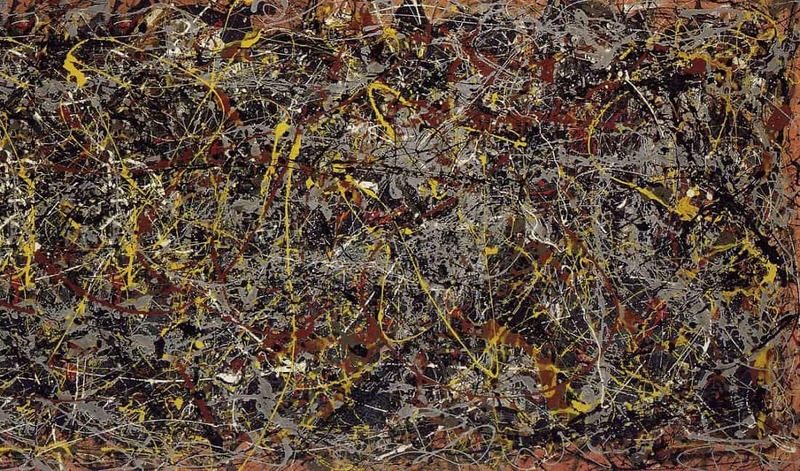 In 2006, one of Pollock’s paintings became the most expensive painting every purchased. No. 5 1948 sold for $140 million at auction. Since then 4 other paintings have eclipsed this price, but only two of them are from modern era painters: Pablo Picasso and Mark Rothko. Jackson Pollock may have preferred alternative painting tools because of a childhood accident. 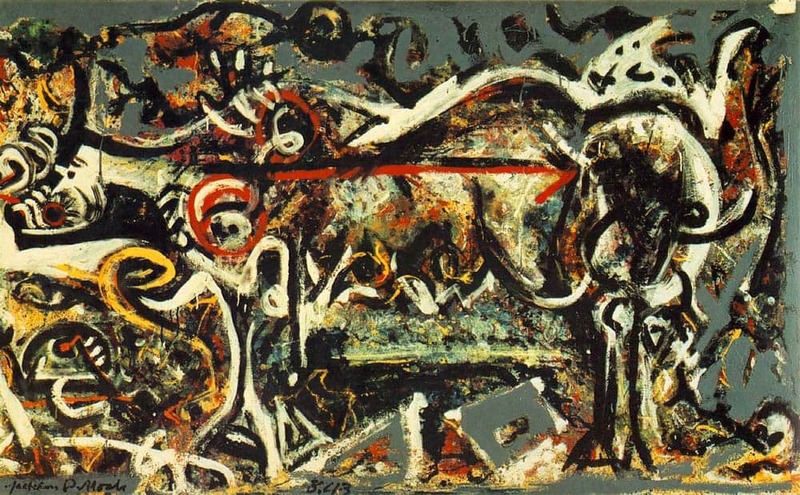 One day while he was 4 years old, Pollock decided to play with a hatchet. That decision led him to chop of the end of one of his fingers. Although the striping and pooling of paint was considered his signature style, Pollock was multidimensional as a painter. He was even known to mix mediums from time to time with his paintings. He would sometimes add broken glass to a painting or even just directly paint on cold glass from time to time. 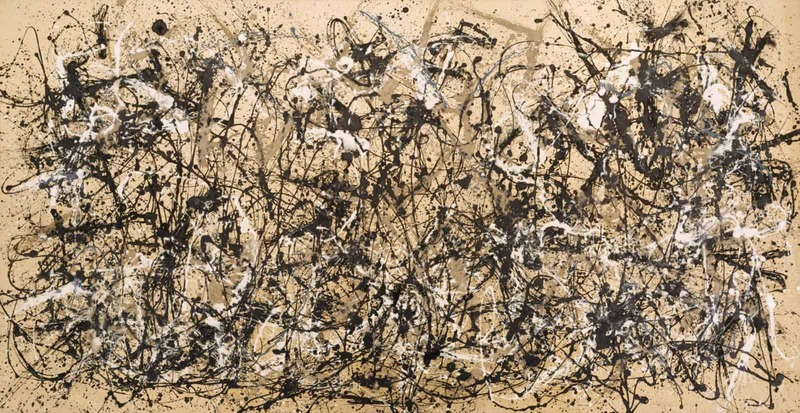 Pollock was working on a 20 foot canvas one day and realized that his studio didn’t have enough room to accommodate the painting. Instead of taking the work outdoors or changing his approach, Pollock took a novel approach – he knocked down a wall so that the room could be big enough. Pollock is also proof that knowing who you are and what you can do are the most important things needed in the pursuit of a dream. To say that he wasn’t a very good student during his younger years would be an understatement. He was expelled twice from high schools before eventually being sent to live with his brother. Jackson Pollock changed the way that we view modern art. He stopped naming his paintings because he wanted people to see the painting in their own way. These facts and many others guarantee that Pollock will always be one of the world’s most famous artists. I don’t use the accident. I deny the accident. There is no accident, just as there is no beginning and no end. As to what I would like to be, it is difficult to say. An artist of some kind. If nothing else I shall always study the Arts. I have no fears about making changes, destroying the image… because the painting has a life of its own. I try to let it come through. It is only when I lose contact with the painting that the result is a mess. There was a reviewer… who wrote that my pictures didn’t have any beginning or any end. He didn’t mean it as a compliment, but it was. It was a fine compliment. I want to express my feelings, not illustrate them. Most of the paint I use is a liquid, flowing kind of paint, the brushes I use are used more as sticks rather than brushes – the brush doesn’t touch the surface of the canvas, it’s just above. I don’t work from drawings. I don’t make sketches and drawings and colour sketches into a final painting. The modern artist, it seems to me, is working and expressing an inner world in other words – expressing the energy, the motion and other inner forces. I don’t paint nature. I am nature. Painting is a state of being. Painting is no problem. The problem is what to do when you’re not painting. A man’s life is his work; his work is his life.